Wow, what a freakin’ week! Even though my new job is only an extra 1.5 hours on my day, I have been absolutely EXHAUSTED every evening! But I think it’s more because I’m learning and doing so much now. It’s surprising when you’ve been out of education for so long and you get the urge to just learn again, thankfully now I can! Don’t get my wrong, I LOVED working with the Lady Boys (and other touring shows) but I was too comfortable and taking each day for granted and got a little bored, but now even though it’s only been a week I’m excited about going in to work again and having a new challenge has made my pay packet so much more satisfying! I’ve never even considering e-commerce as a career before, but with my digital marketing experience and social media skills it kind of makes sense and goes hand in hand with everything I already know. Anyway, I digress, this blog post is about stationary not meeeee! The Woodland Stationary Collection at Paperchase! 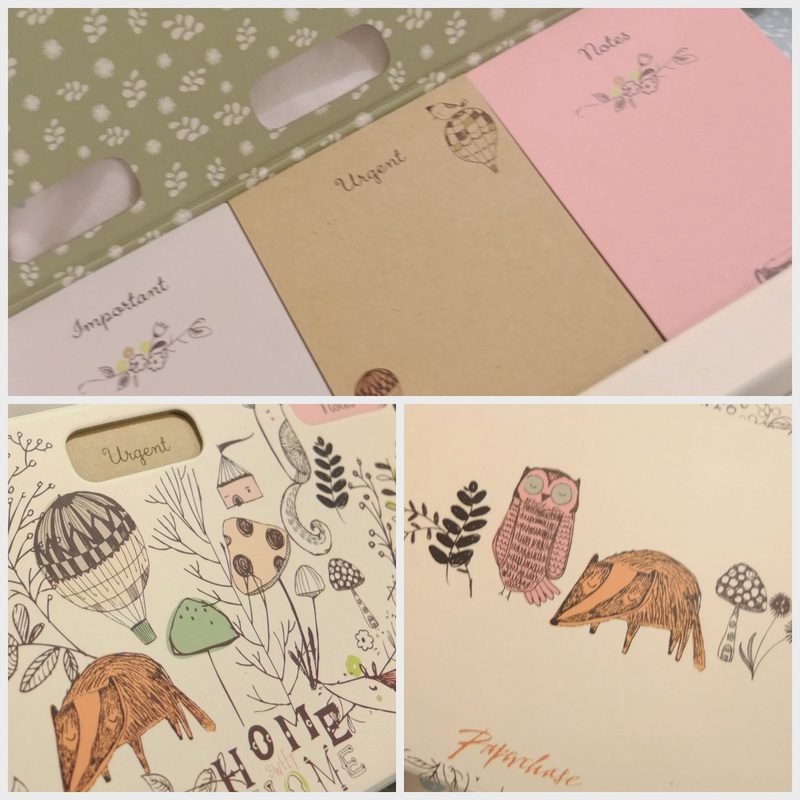 Super cute woodland themed stationary! Paperchase ALWAYS have such amazing collections in, but the Woodland one completely takes the award for the most amazing one I’ve seen in there yet!! I had to practise such restraint when I was browsing as I just wanted it all. I decided to be practical though and chose just one thing, which is going to come in the most useful for the aforementioned new job. You might know I’m not exactly going to win any awards for remembering anything, I’m the most forgetful person EVER, combined with my love for the art of procrastination this doesn’t bode well for efficiency really. Don’t get me wrong – tell me to do something and I’ll do it… Either right there and there or about 2 months later. I need to have a list and strict timings to stick to, otherwise I will forget. 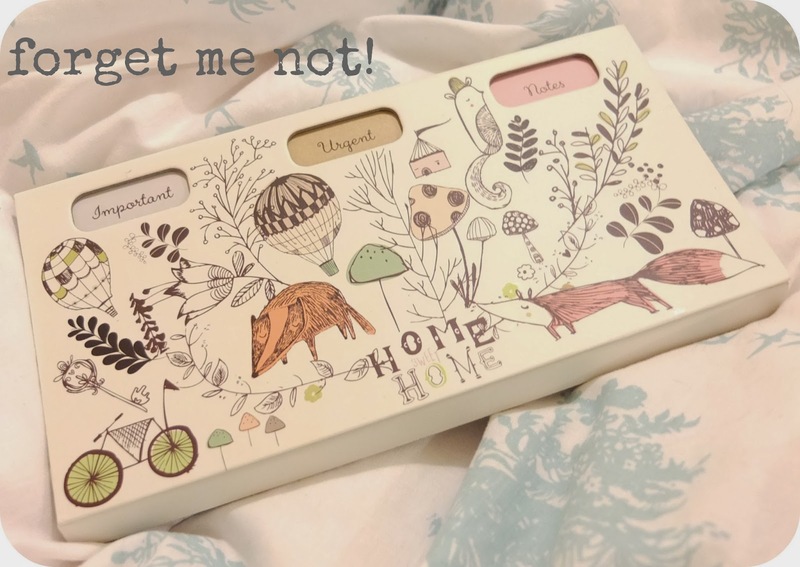 So this cute Woodland Trio List Pad is ideal for someone like me. It has 3 mini pads in one with ‘Important’ ‘Urgent’ and ‘Notes’ sections on the top. I think a majority of my ‘tasks’ will have to be labelled as urgent though otherwise I will find some kind of reason to procrastinate my way around something else and be counter productive. The only thing that let’s this cute stationary pad down is that it is note pads not actual sticky notes which is a shame as I wanted to litter my desk with sticky note goodness. Oh well, just an excuse to buy these as well then. Are you addicted to Paperchase and it’s amazing stationary collections too? What’s your current favourite one? Next Post Mango Chicken Recipe on a Budget!